Despite it’s cinnamon coloration, this is a American black bear (Ursus americanus). As can be seen, it is a natural climber. 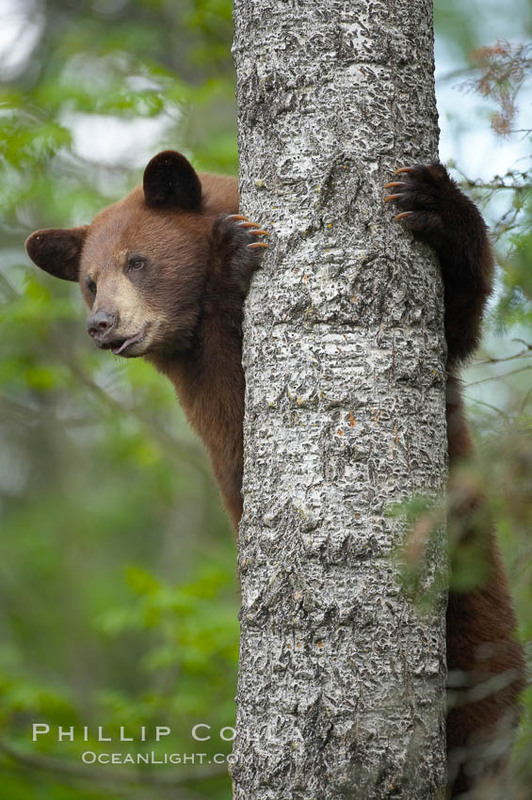 It will hustle up a tree if it feels threatened by the approach of a larger bear, or if it is seeking a quiet place to rest, or if it wants to get a better look at its surroundings.